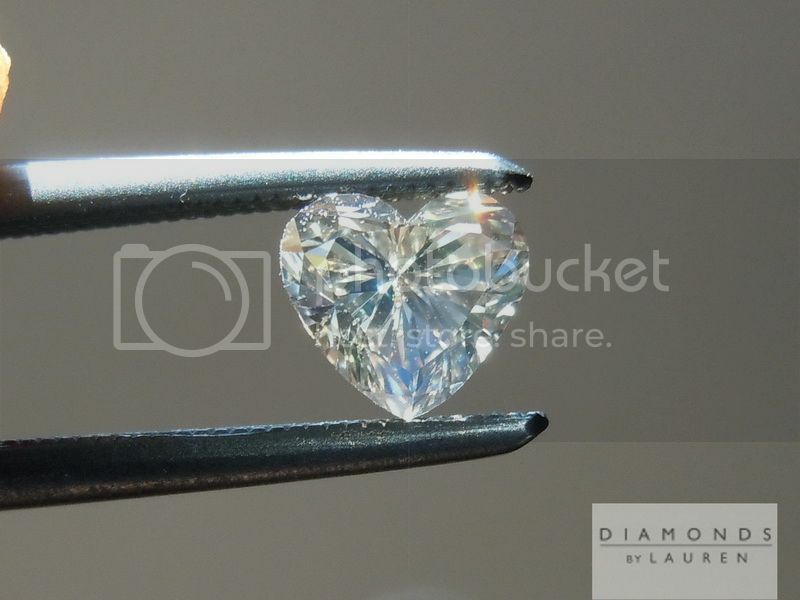 We include our comprehensive appraisal for identification or insurance purposes. 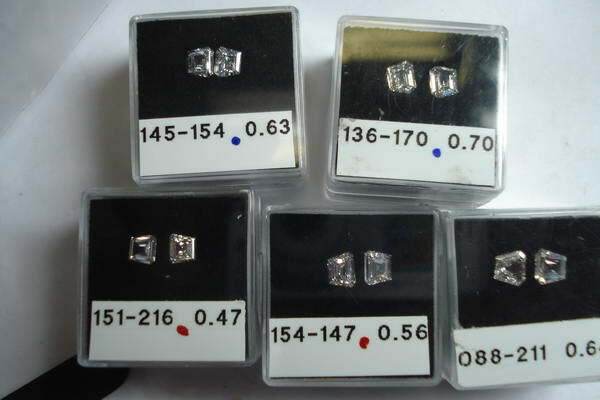 We get to select from large groups of fancy colored diamonds arranges in trays, face up in capsules. 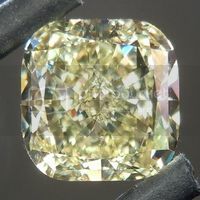 The diamonds that catch my eye immediately are usually the ones we end up buying. 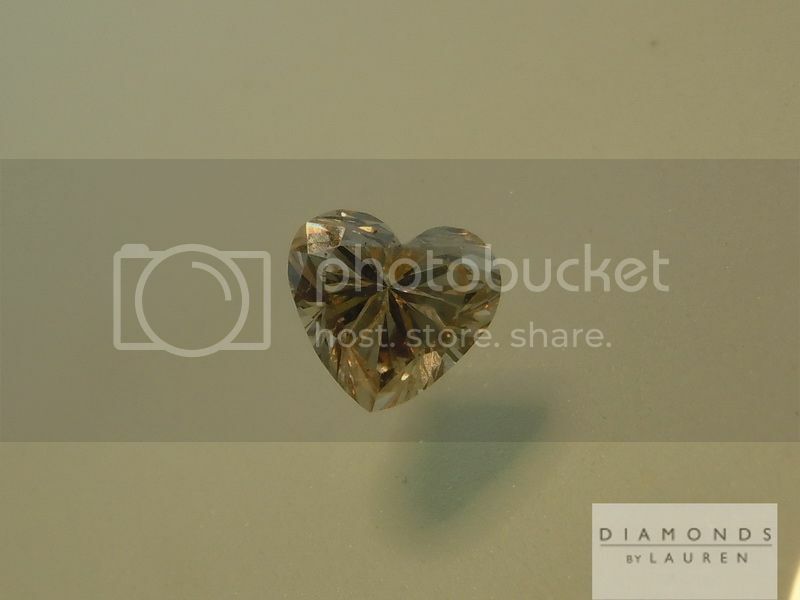 That is because the "arm's length" test is a valid one. 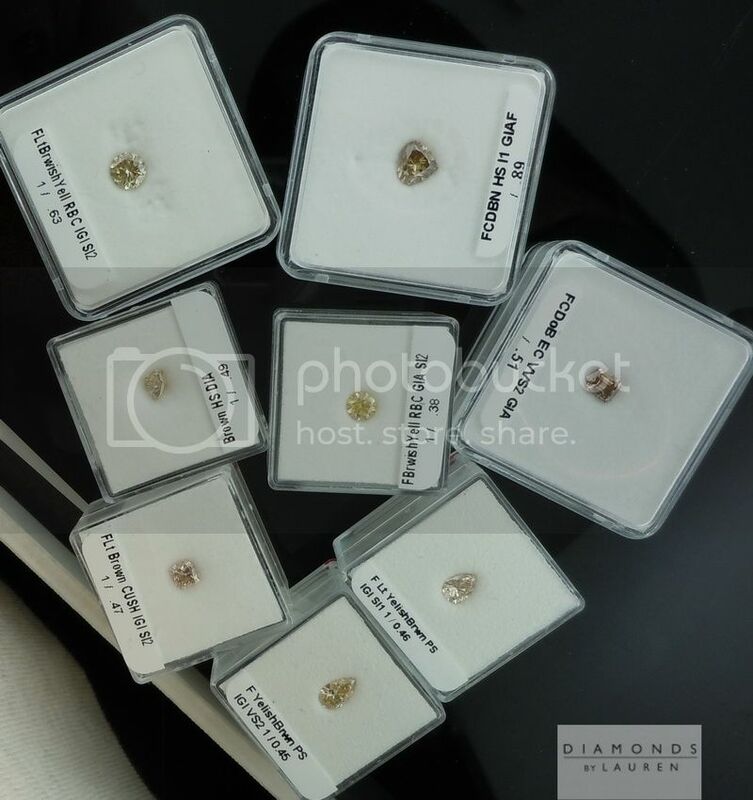 For the ones that pass the test, each diamond needs thorough and close examination to see if it is up to our high standards. 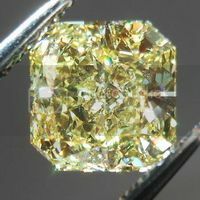 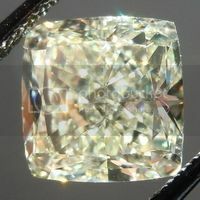 I should mention that during this type of selection process, there is no specific thing I am looking for - other than really cool and beautiful fancy colored diamonds. 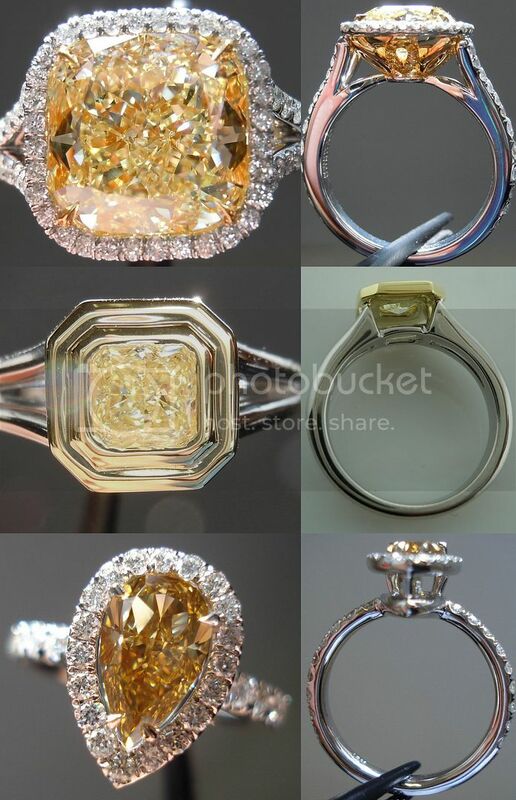 These stones caught my eye immediately. 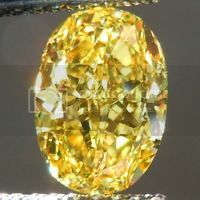 Either because the color was bright in some attractive way - or maybe somehow subtle shading that somehow might, and I say might, give it the look of a faint pink diamond if it is set just right. 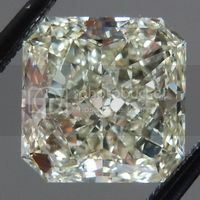 A lot of ifs, but I make sure to pick stones that have their own personality. 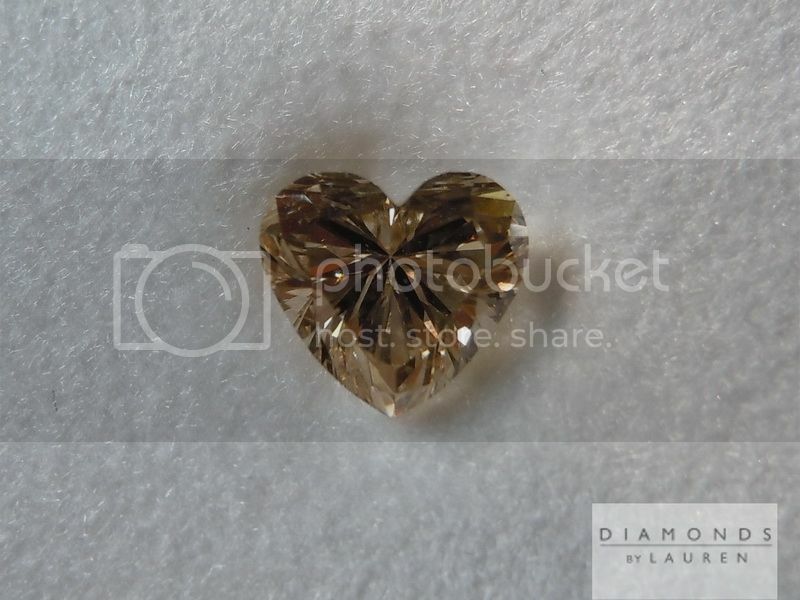 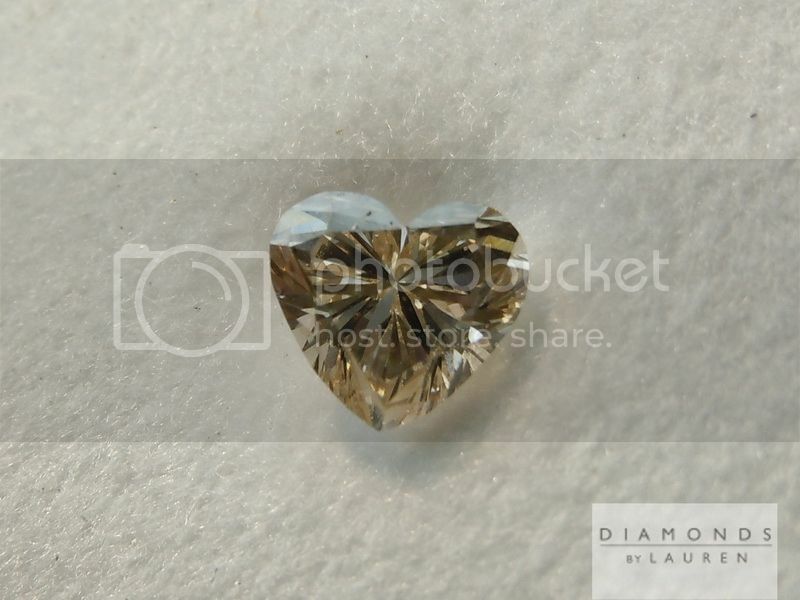 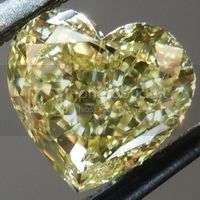 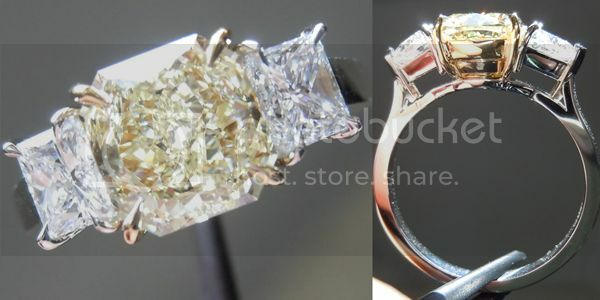 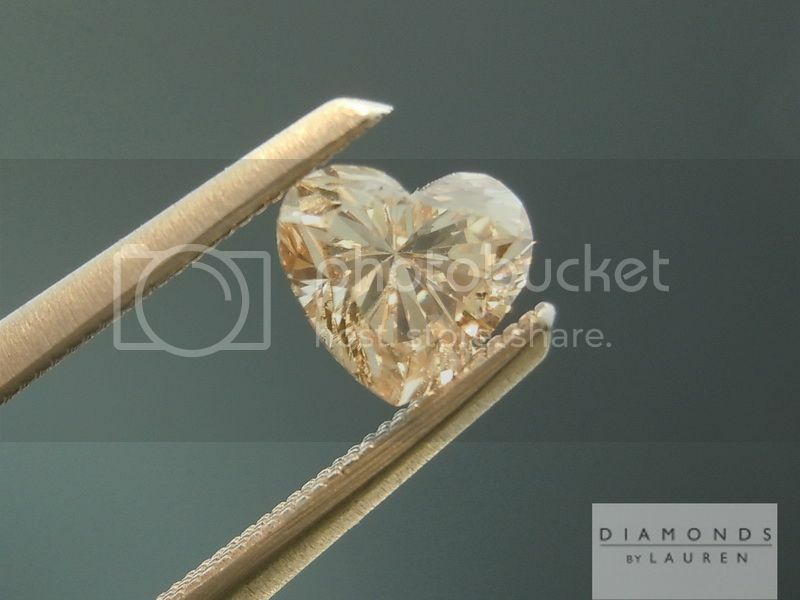 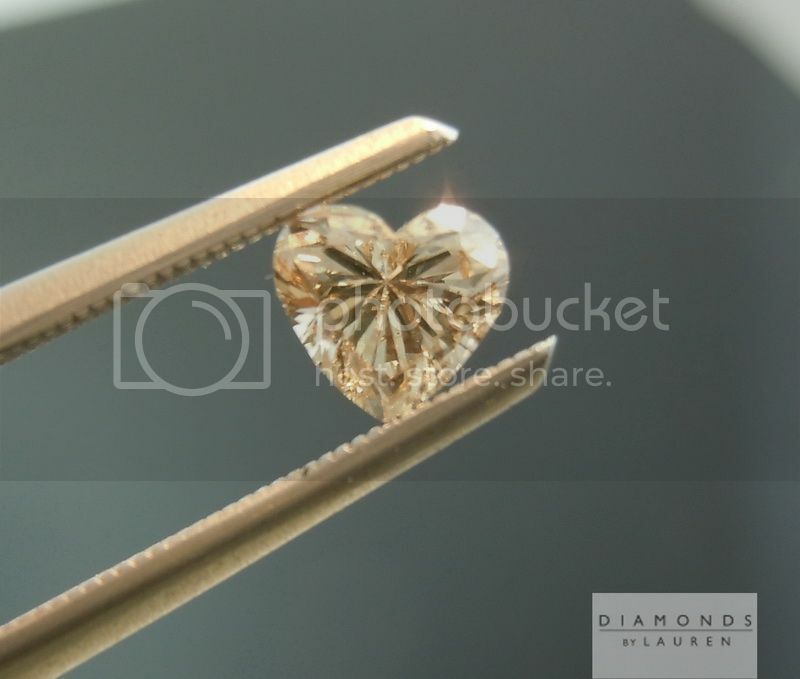 This heart shape diamond stood out to me because it has a great cut - and it is very lively in person. 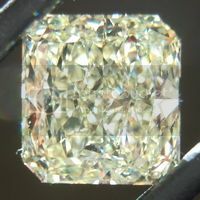 As you can see in the photo below, the fluorescence can kick in sometimes.